In this guide, I will show you how to create 2-step sign up forms. 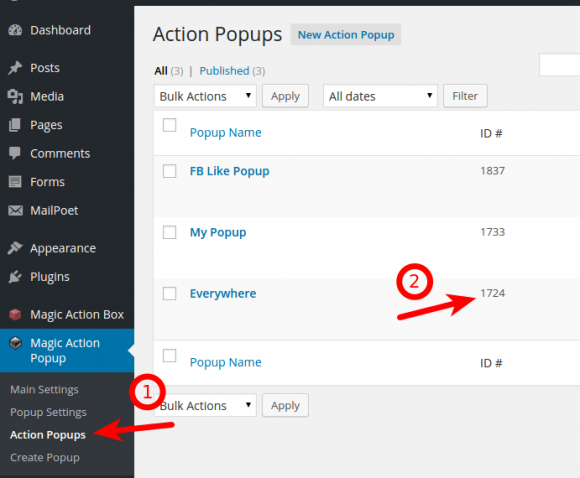 Follow the steps to creating your first popup. Store the Popup ID for later user. In this guide I will be using the Popup ID 1724. There are two important things required for the trigger to work: a custom class – mab-popup – and data attribute – data-popupid. As you can see, our trigger code above has those two things. 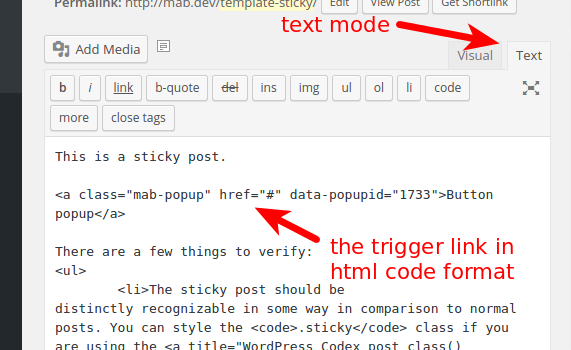 If you are adding your trigger link within your blog post or page content, you will want to switch to Text mode. You may also use an image as your trigger. 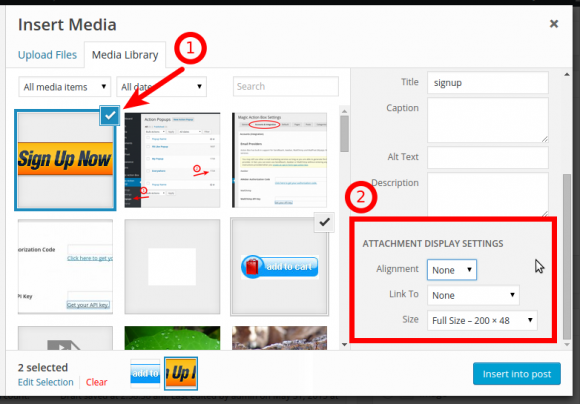 If you know how to create an image as a link, then creating the trigger will almost be the same process. Make sure you are in Text mode.